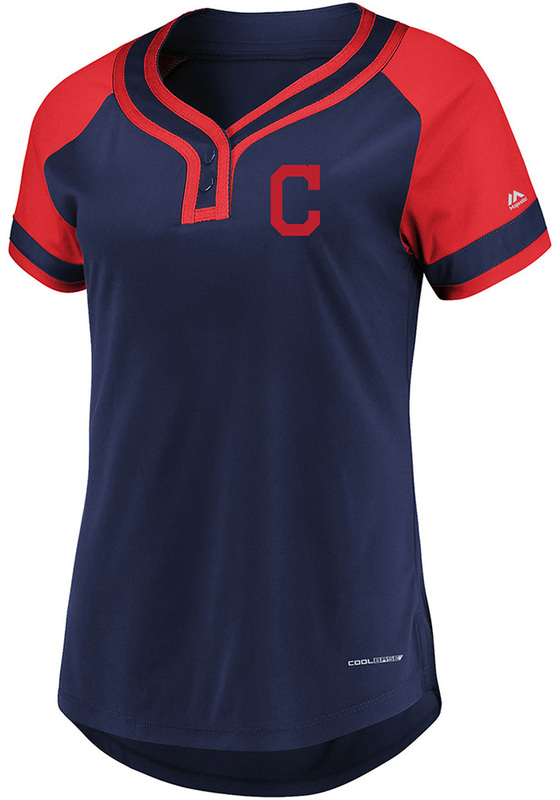 Hit a fashionable home run with this Navy Blue Cleveland Indians Womens Majestic Fashion Baseball Jersey. 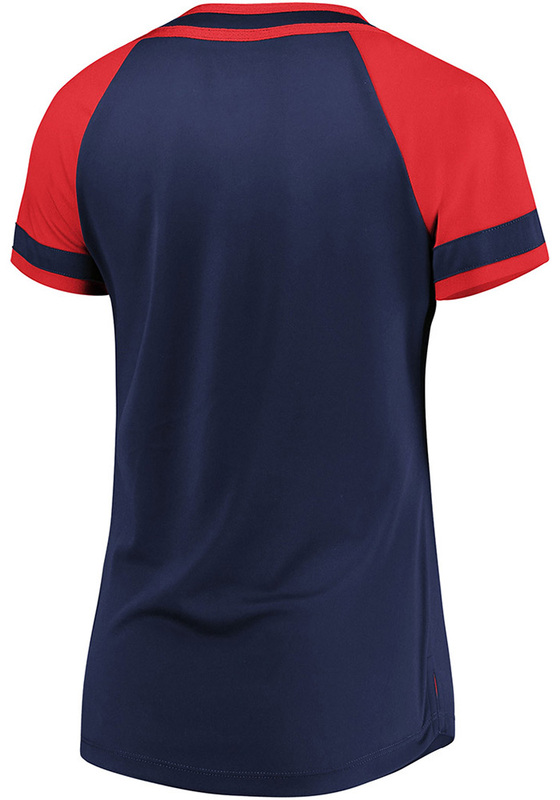 You'll be ready to cheer the Cleveland Indians to victory when you pull on this Womens Fashion Baseball Jersey, which features a sublimated stepcloth heat transfer team logo on left chest. Go Indians!